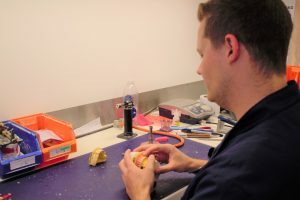 We offer an outstanding prosthetics service from our laboratory in Leeds. Our “Lifestyle Range” offers three different options – Premier Plus, Premier, and Independent, meaning there is something for everyone. 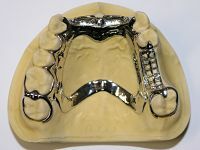 We also offer Chromes and Flexibles to complete the range. 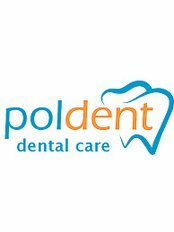 Designed for the patient who is looking for aesthetic excellence. 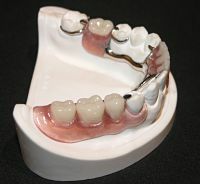 High quality denture produced by senior technicians. Our prosthetic work is manufactured to incredibly high standards. 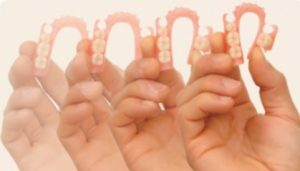 We are happy to accommodate any personal preferences by substituting our range of teeth for those of your choice. Our expertise in the production of Chrome frameworks is extensive and we regularly supply to other laboratories. Either design your own or leave it to our experts, the choice is yours… whatever your preference you’re guaranteed a precision appliance. Combination and attachment work is also widely available. Please call our Leeds Laboratory on 0113 279 6668 for more details.